It’s a fundamental tenet of strategic foresight, or futures/futurism, to avoid making singular predictions. Instead, we recognize the multitude of possibilities and attempt to consider multiple alternative futures for any given facet of our lives, including specific technologies. But not everyone who thinks about the future adheres to this tenet, and it’s not uncommon to find very intelligent people with technical expertise making predictions. So it’s refreshing to find a book by a technical expert that doesn’t predict, but instead explores alternative futures. 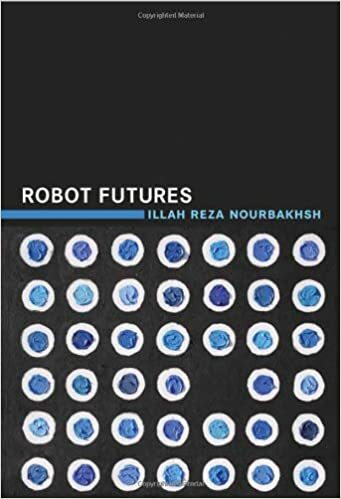 One such book is Robot Futures by Illah Reza Nourbakhsh. Nourbakhsh teaches Robotics at Carnegie Mellon University. He also directs the Community Robotics, Education, and Technology (CREATE) Lab at Carnegie Mellon. 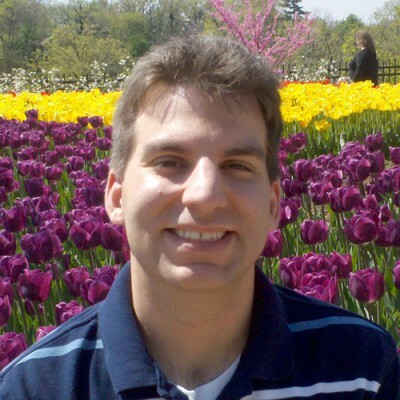 He has taught and written on Robotics for many years and is the coauthor of Introduction to Autonomous Mobile Robots. As one would imagine, Robot Futures is an accessible work by an academic whose mission is to interface with communities on what robots should or could be. From a foresight methods perspective, there is no formal approach behind Robot Futures. That is to say, no specific research is indicated. However, Nourbakhsh brings a uniquely informed perspective and credits many colleagues for feedback on his ideas. The real substance of the book lies in his outline of the major trends and key issues (especially technical issues) related to robot development, as well as five engaging, fully fleshed out scenarios for robots in the future. For each scenario, he presents a vivid science fiction-style narrative description, all of which are well done and effectively depict the scenario. Looking into the future, then, Nourbakhsh is focused on robot futures in the year 2030, and his scenarios are targeted to that year, with the exception of one that is a kind of wildcard that he recognizes is mostly likely beyond 2030. New Mediocracy — A robotic future in which offline space is automated and tracked in the same way online space is now (emphasis on targeted advertising). Robot Smog — A future in which toy, DIY, and kit robotics are everywhere, out of control, junking up the world. Dehumanizing Robots — A future in which automated bots are ubiquitous and regularly abused or tormented by humans. Attention Dilution Disorder — A future in which telepresence bots allow us to be in many places at once and nowhere at all. Brainspotting — A further-out wildcard future in which sophisticated nanobot control systems can reanimate biological material so that you can run another human (corpse) or an animal such as a dog. In these scenarios, Nourbakhsh assumes that robotic development will continue, and each of his scenarios “imagines an ever-further robot future in which underlying robot technologies have advanced.” His assumptions are certainly those of the technician, but his engagement with communities helps him see the human context. Imagining robots here, the focus centers on three dimensions: 1) perception capabilities; 2) capacity for actions; and 3) cognitive capabilities. These are all technical frames that help drive the scenarios, and Nourbakhsh assumes slow advancement in all areas. Beyond the technical, he is somewhat optimistic about the ability of government and communities to manage technology. One of the most valuable sections of the book may be the technical discussion of robotics capabilities and technical drivers. 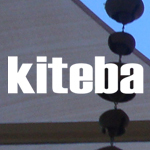 Specifically, key capabilities/drivers outlined are the following: 1) Structure; 2) Hardware; 3) Electronics; 4) Software; 5) Connectivity; and 6) Control. All of the scenarios outlined in the book have some combination of the above robotic capabilities, solved and deployed differently. Some of the new capabilities include controlling other living beings with nanobots; managing multiple telepresence instances of oneself; and extreme tracking of individuals in the offline world. In the end, the scenarios laid out by Nourbakhsh are creative and compelling. The sci-fi vignettes are extremely effective in communicating the scenarios as well. I see each scenario as valid in terms of depicting fragments of possible robot futures. Some are rather counter-intuitive or unexpected, such as Brainspotting, and generally those scenarios are the more interesting. However, I think Nourbakhsh could have pushed them further, even in the 2030 timeframe, and I find the bias here very human-centric. That is, the Robot Futures scenarios are mostly ones in which robotics are more or less directly under human control, or else the robots are playing out some basic programming. The idea that robots may become their own entities, powered by AI perhaps, that they might move away from human control or contexts, and become something else, even in some limited sense, is not explored. Additionally, one might argue that Nourbakhsh’s scenarios focus too much on negative attributes of present-day humans: we’re sloppy, abusive, unfocused, etc. Humans may develop too, I would counter, but one has to admit human foibles are certainly either possible drivers or outcomes of the way a technology like robotics may develop in the future. All in all, the book presents an informed perspective and will reward the effort of reading it.